A well-known donor with lots of breed character, +VL Elena 60/2 is an outstanding daughter of the Register of Renown +VL Elena 4/135, and the historic red Brahman sire +Sophisticated Millionaire 80/3. 80/3 has produced nine Register of Renown progeny, including +VL Elena 60/2 and is currently the #1 ranking red Brahman sire of all time. 80/3 is known for siring outstanding females with lots of length of body, beautiful udders, and maternal characteristics. 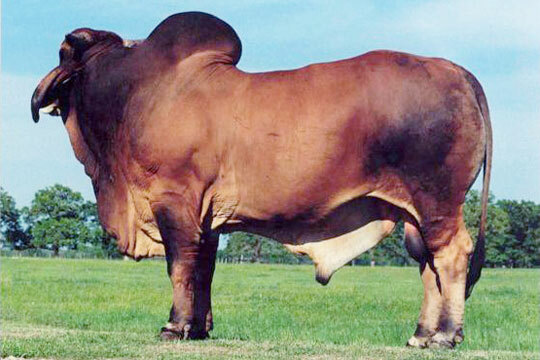 60/2 truly exhibits those characteristics, and was the 2005 International Red Brahman Champion. 60/2 is feminine, long bodied, big topped, and thick! 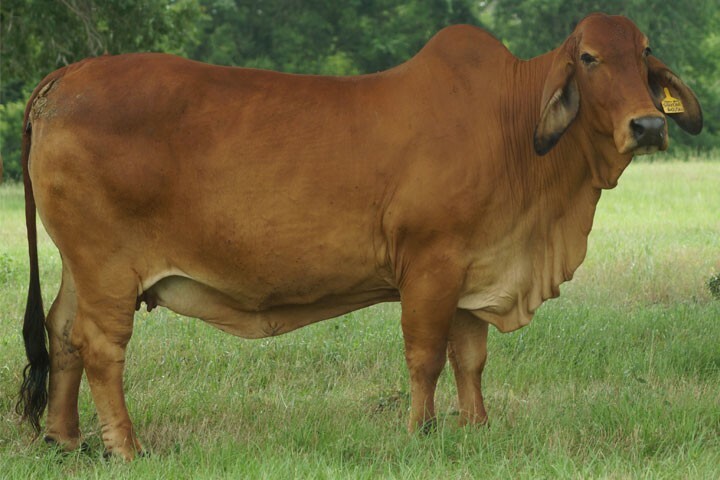 She has produced outstanding calves, including VL Elena 170/4, the 2008 International Red Brahman Champion Female and the 2008 World Brahman Congress Red Champion Female.